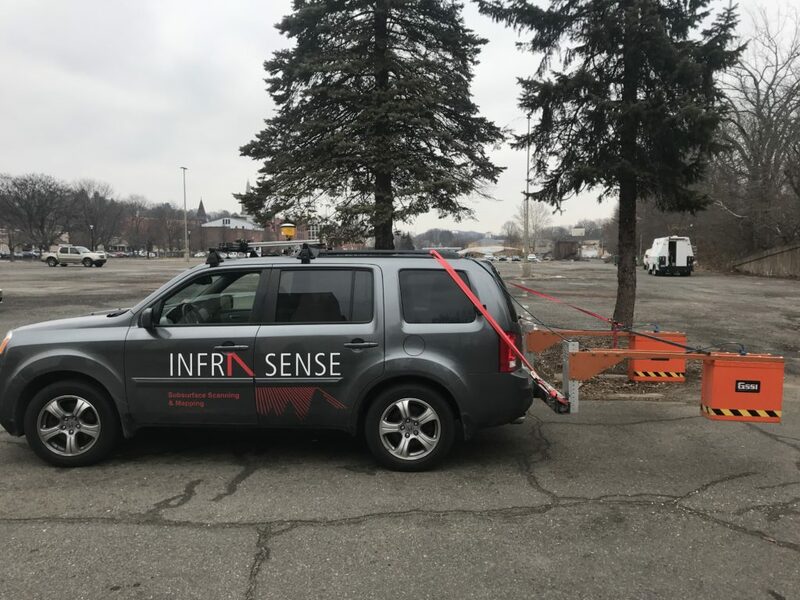 Infrasense Performs GPR Survey of Pavement Structure in Naugatuck, Connecticut - Infrasense Inc.
Infrasense conducted a nondestructive survey and report on the main travel lanes of a 1-mile section of Rubber Avenue in Naugatuck, CT. The project provided the client with tabular and graphical data sets plotted at a 5-ft interval along the centerline of each travel lane, with each point linked to precise GPS coordinates. These datasets paint a clear picture of where there is concrete beneath the asphalt wearing surface. The graphical outputs plot the depth vs distance of multiple asphalt layers, underlying concrete when present, and a base layer. The survey was conducted at driving speed with no closures, no disruption to traffic, and zero impact to the integrity of the road. The GPR data collection system included a pair of 1 GHz horn antennas and a SIR 30 control unit, both manufactured by GSSI in Nashua, NH. The final report included a quantitative summary of average layer depths in each lane, along with visual plots showing the structure type along the length of the section.